I'm thinking of taking up coloured pencils again and wanted a book that stressed the vibrant quality that could be obtained from coloured pencils. Before I buy a set I think I'll check out what she recommends. A fair and balanced review. I see that realism is her forte, and Mr.Pixel has Ms.Pencil to worry about. Super review Katherine! Got my coopy yesterday and i think you 'nailed' it pretty good! Thanks for the awesome review. This is definitely the best colored pencil book I've ever read. If I had any doubts about what can I achieve with cps, this book convinced me otherwise. I feel like anything is possible! I find the summary template at the top of the page like that very useful. I was checking out the information on this book, both Amazon.com and here. (There is no information yet at Amazon.ca) I am one to read everything but for those who like to scan quickly for their information the template is an excellent resource. Thank You. Oh man, Amazon. Had this book and other books in my "books recommended for you," cache. 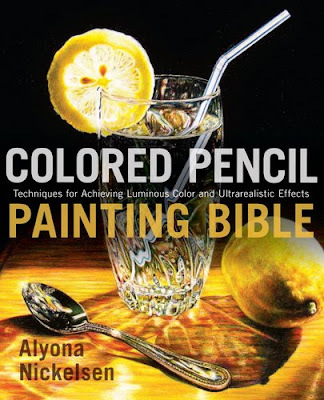 First I got a sample from Alyona's colored pencil book also in the cache was "The Ultimate Guide to Colored Pencil." (A wonderful spiral text book w/ CD). Couldn't chose one over the other I bought both. 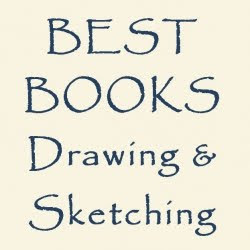 Both are extremely excellent pencil painting books. 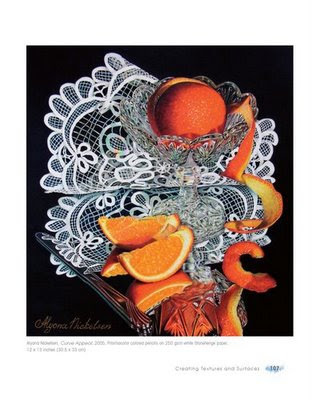 Now when I got Alyona's book, I was delightfully treated to not just beautiful awe inspiring artwork, but also a vast book full of information and step-by-step exercises. The only thing I would have to complain about and it's very minor, is the fact she brought up Photoshop. As a traditional artist, I don't want to rely on digital software. Granted, I don't mind it because sometimes I do create digital artwork but my main style is traditional and I don't like to rely on computers to enhance or help my artwork in any way. But I absolutely adore this book. It just shows you that you can "paint" with colored pencil. 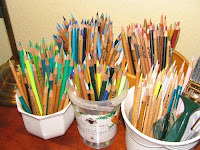 A very beautiful detailed book that ANY colored pencil artist SHOULD have in their library. (Even if they're into drawing anime and manga/ cartoon comic pictures like I am). And I'm a young artist (24 yo) drawing realism should be the first step in ANY artist's life. And I wish I wasn't so adamant and stubborn in art class in high school. I think this book should also be in ALL art schools (Jr. High to college) in order to be a good artist, we must paint what we see around us and this is one of the best books to help with that.